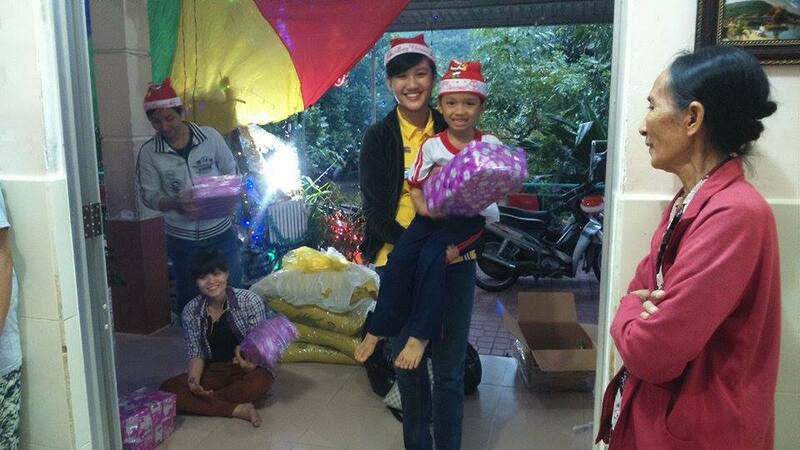 On December 25, 2014 we brought Christmas to the Thien Tam Orphanage. 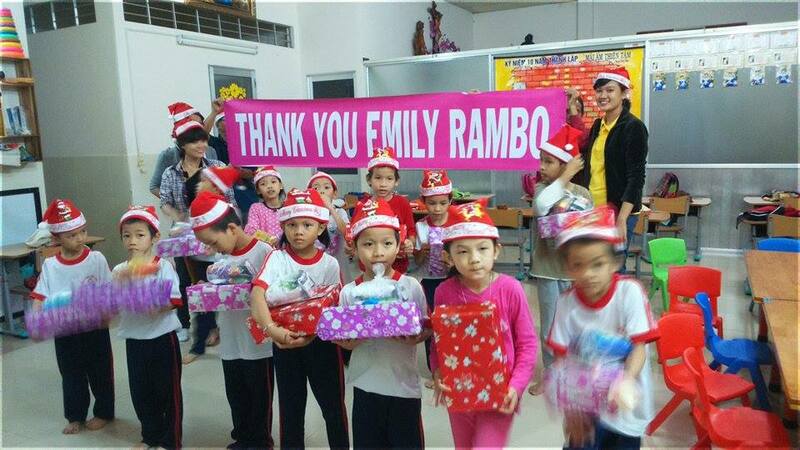 Emily Rambo of the USA made a generous donation last month, and our team prepared Christmas gifts for all of the orphans. 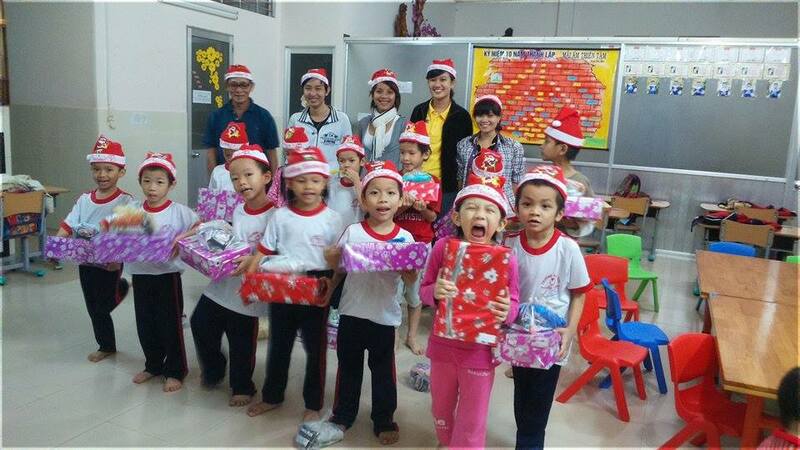 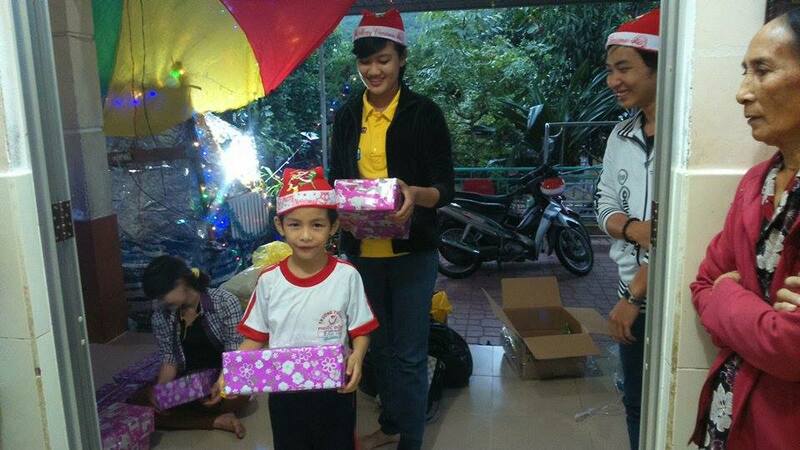 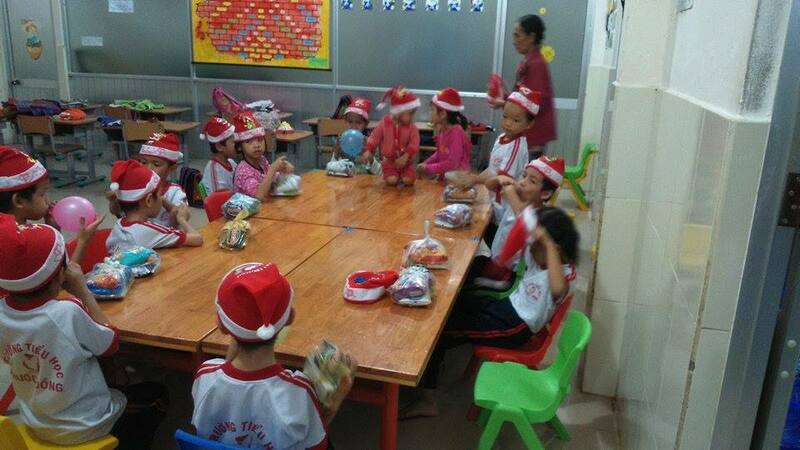 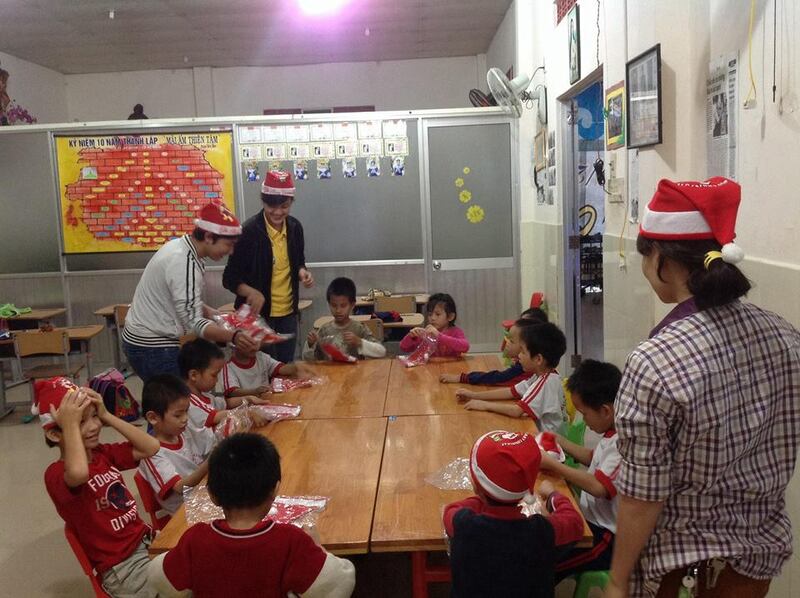 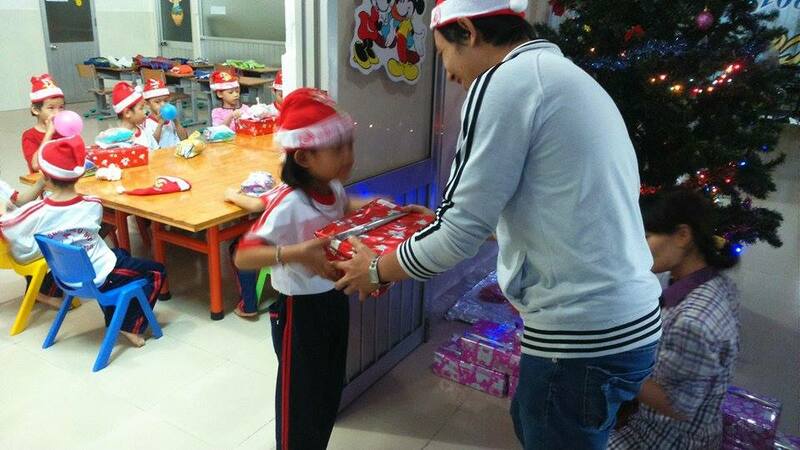 Our lead coordinator, Mai Khanh, brought some friends to play the part of Santa, and each orphan received a present. 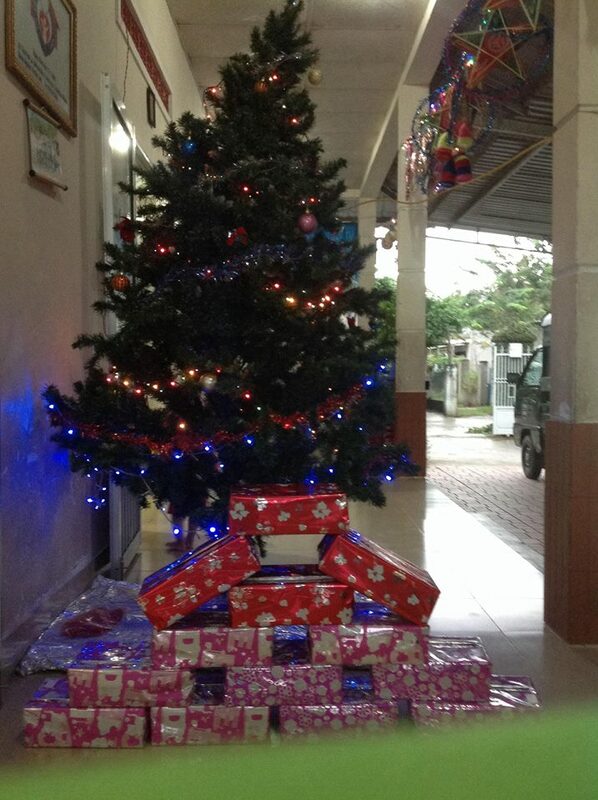 The orphanage already had a Christmas tree, but there were no presents underneath. 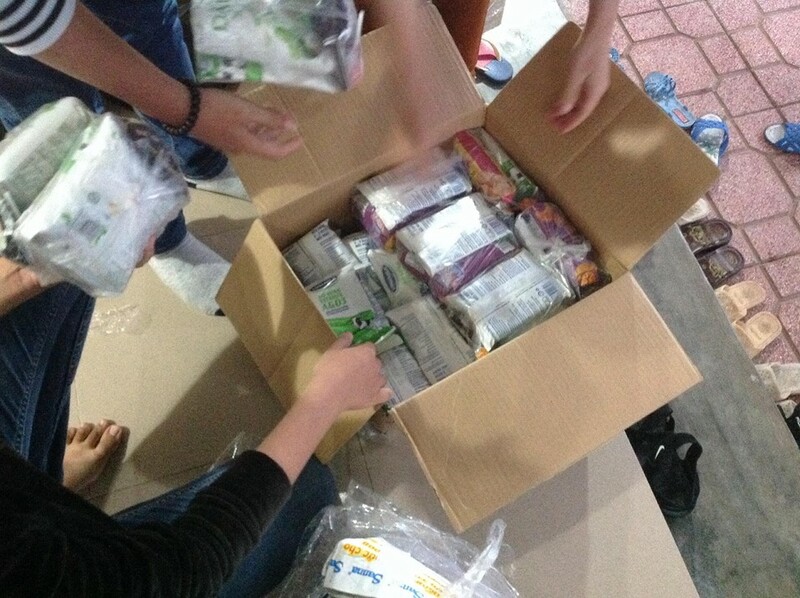 Thanks to Emily it filled quickly! 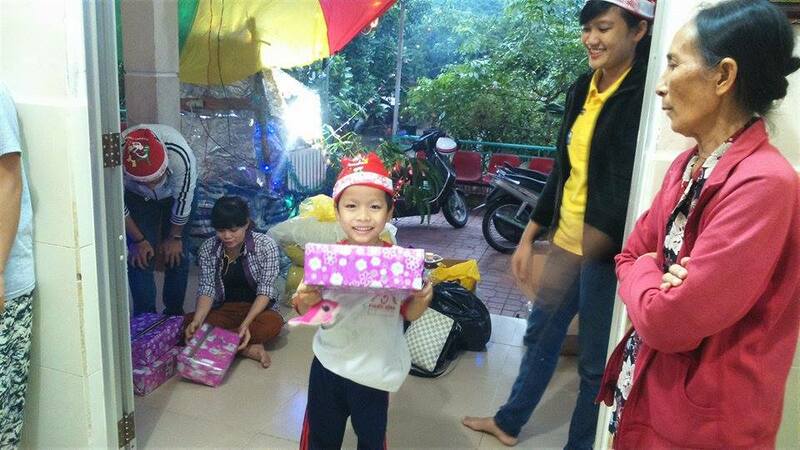 Each present contained a doll, a Santa hat, a new pair of shoes, and snacks. 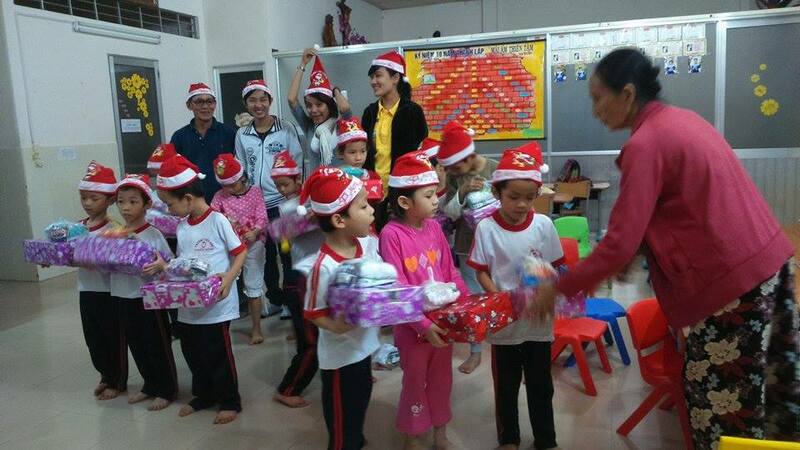 It was a fun surprise for the children, and the visit took on a party atmosphere. 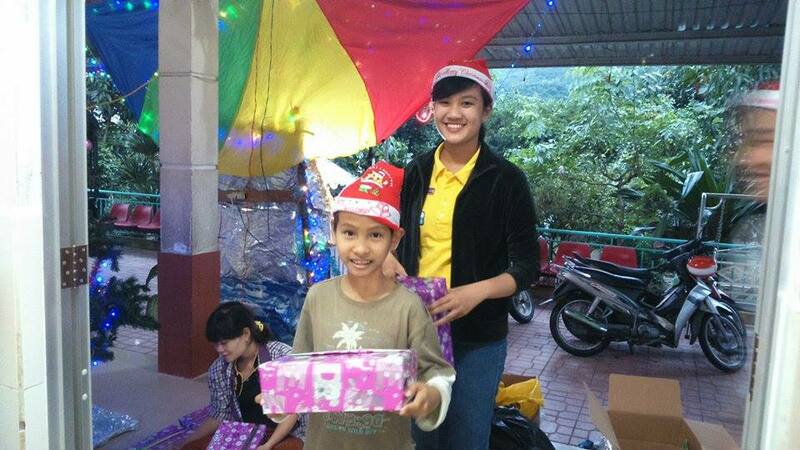 Thank you Emily for bringing Christmas to the children!